By Kendra 7 Comments This content may contain affiliate links. Need a last minute gift idea for a neighbor or friend? 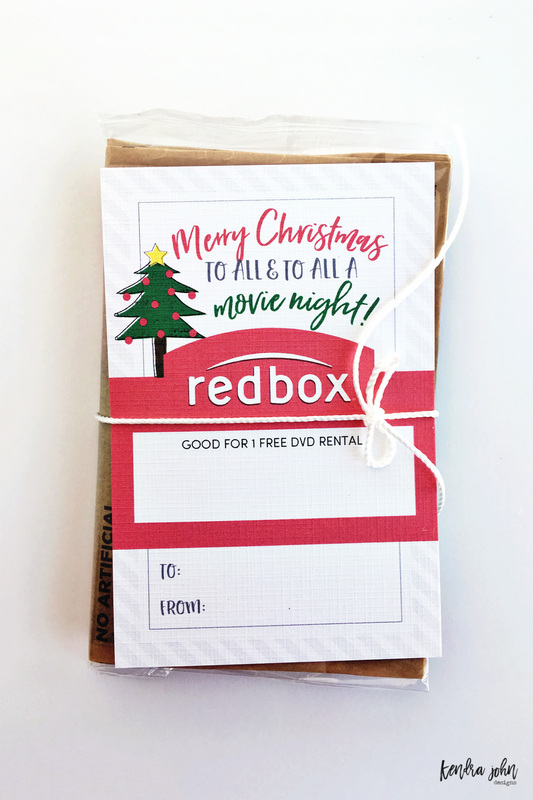 Try this Redbox Christmas Gift Idea! Who doesn’t love a free movie, popcorn, and treats! Are you feeling guilty you didn’t make your neighbors a beautiful plate of hand-dipped chocolates? I’m here to tell you, DON’T FEEL BAD! Fancy baked goods are NOT the only option for neighbor gifts! 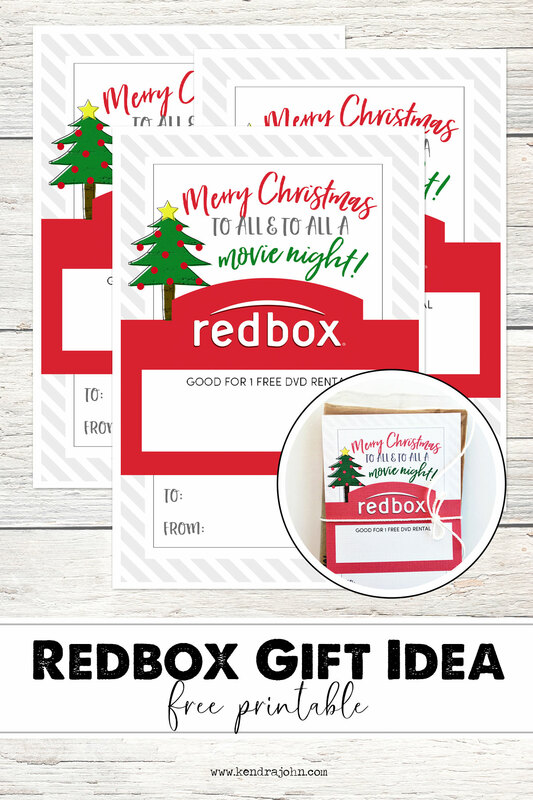 In fact, this Redbox Gift idea is great for 3 reasons! This gift idea is a personal favorite and for good reason! We have personally sent our kids to drop this gift off at neighbors houses several years in a row! Tie the tag onto a bag of popcorn, movie theater treats, or any sort of movie-themed item! 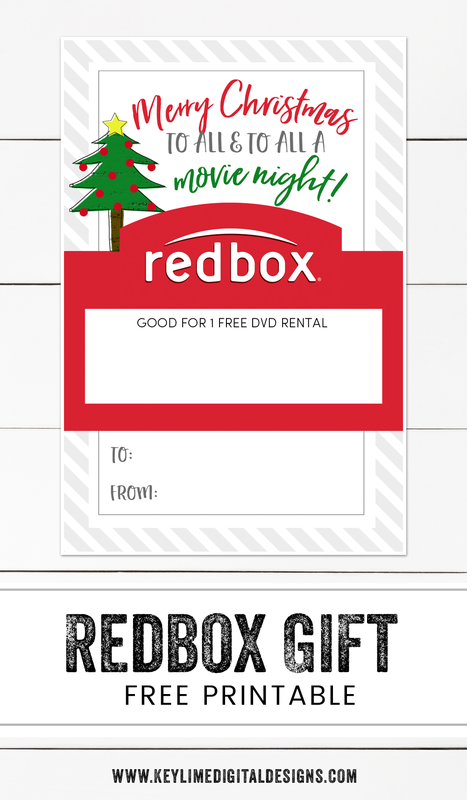 Go to the Redbox website. Click on eGifts. Okay on this screen you will want to put YOUR email address so that the gift card codes get emailed to YOU. Then you can write them on out on the Printable Gift Tag. You have to purchase gift codes in packs of 5. So you can give 1 to 5 different friends! 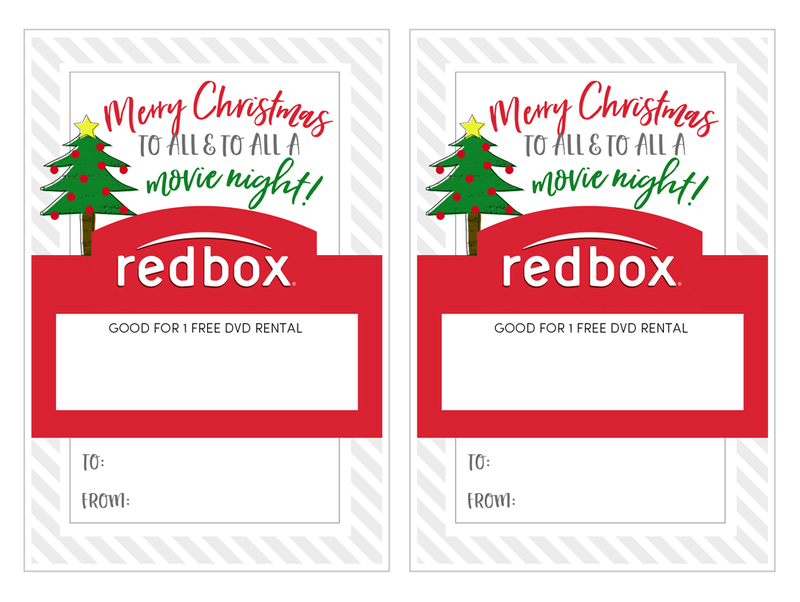 Merry Christmas to All, and to All A Movie Night! Would love to hear if you guys use this! I’ve entered my email two times and have not seen an email with the download yet. I love these tags! Is there a way you can help me get an email or send me the download link? Thank you so much! I would like to use these awesome tags, but they are not letting me download. Can you please email to me? Yep! Sure can! 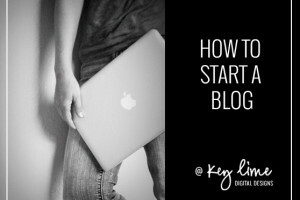 I’ll email you now! Thanks Kendra! 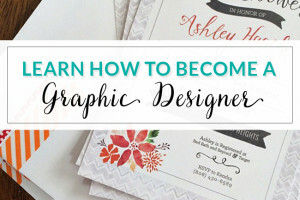 Great idea and your printable makes it so easy to accomplish and add that special touch!